This morning I went to Abu Dhabi and picked up all my books. It was hot. And humid. Like a jungle. 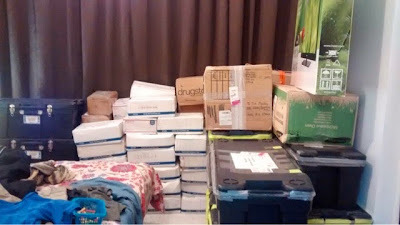 It took 5 hours to drive there, load the vehicle, and drive to my city, unload, and transfer all the boxes to closets because the floor was still covered in 6 years of sand, sawdust, and dirt.